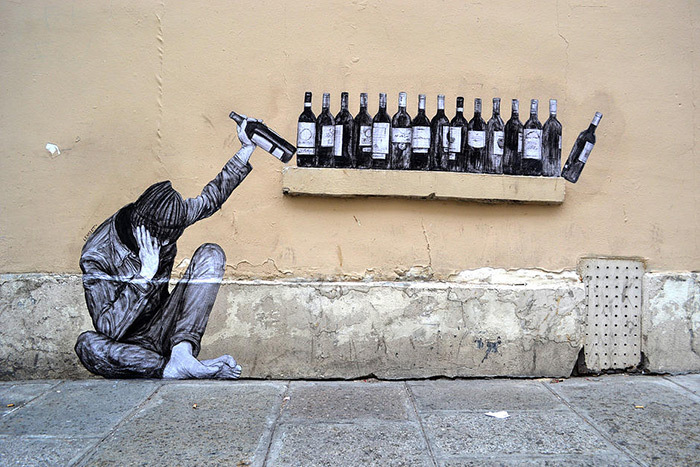 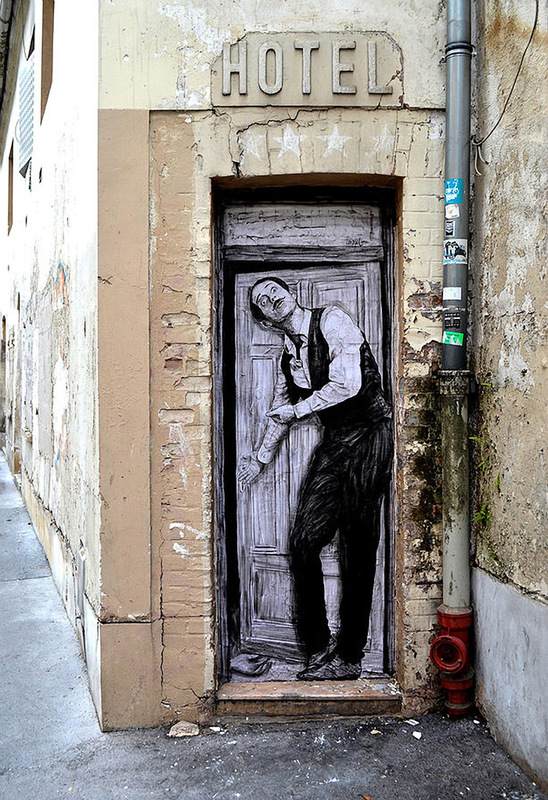 Paste-ups by French artist Charles Leval (aka Levalet) that injects humor into mundane structures on the streets of Paris. 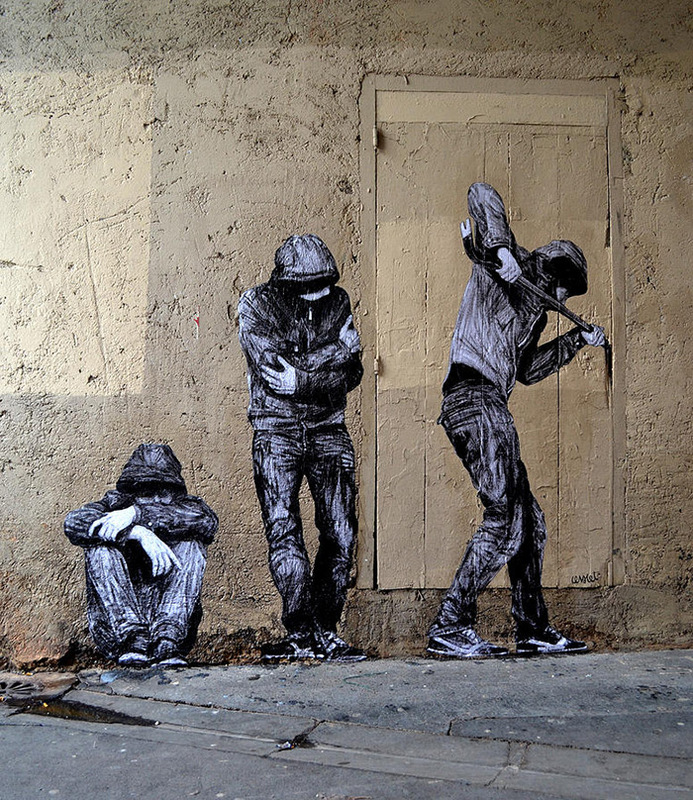 Leval wanders around looking for the perfect spot for his works, takes measurements, then draws his figures in black ink before inserting them around the city. 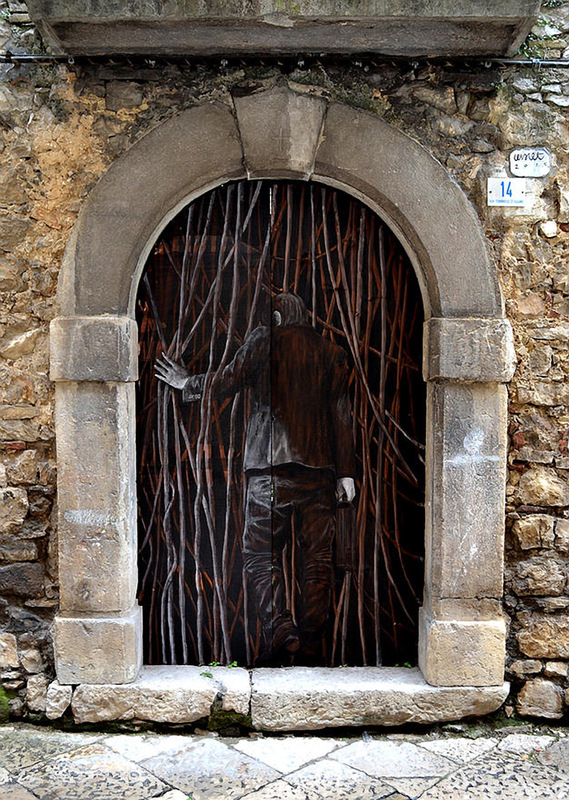 His works end up interacting with their environments in interesting ways such as a bronze head fountain turned into a nauseated figure, or an image of a hotel owner welcoming visitors with the door left slightly open revealing the hand of a corpse on the floor. 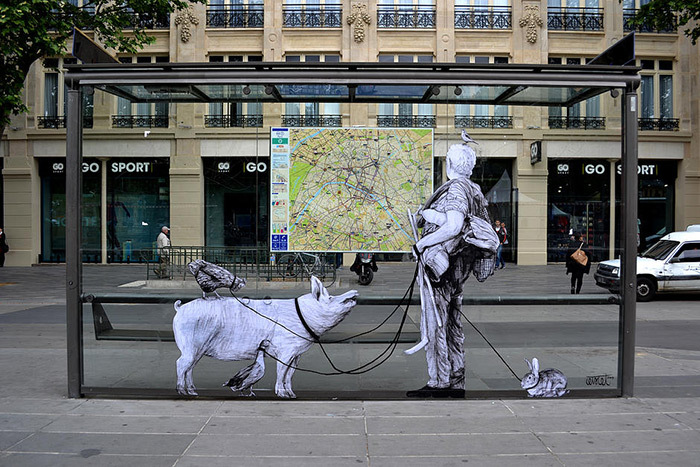 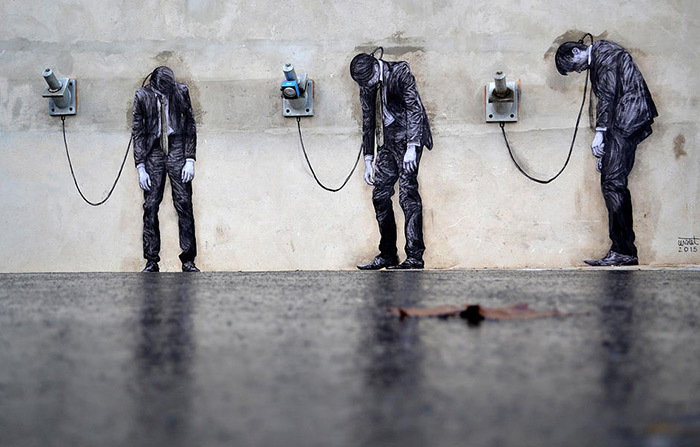 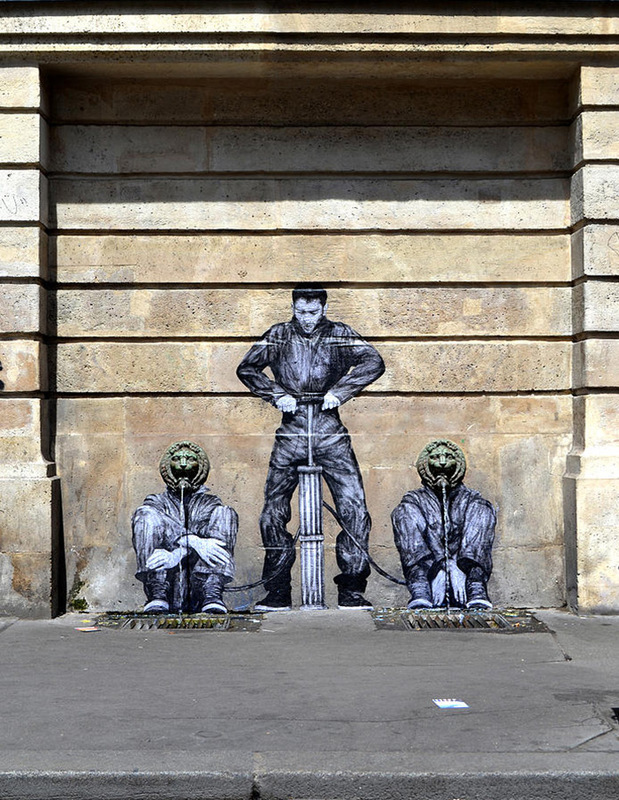 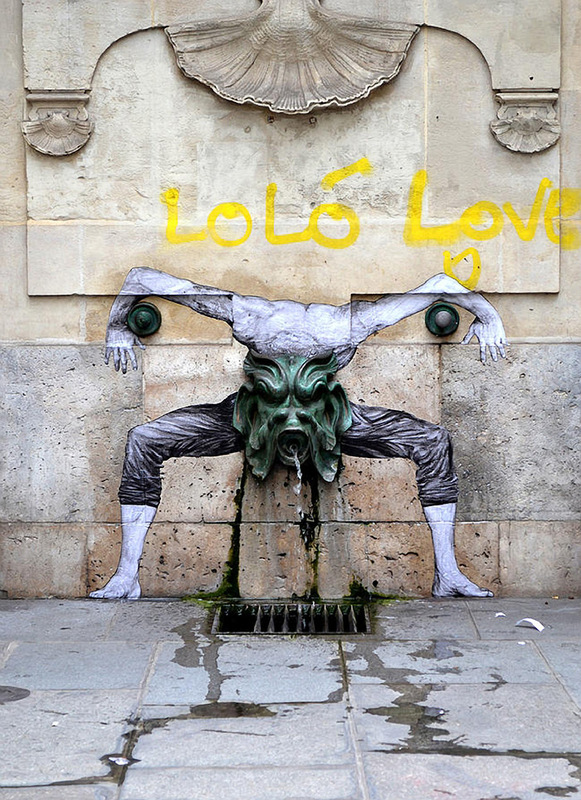 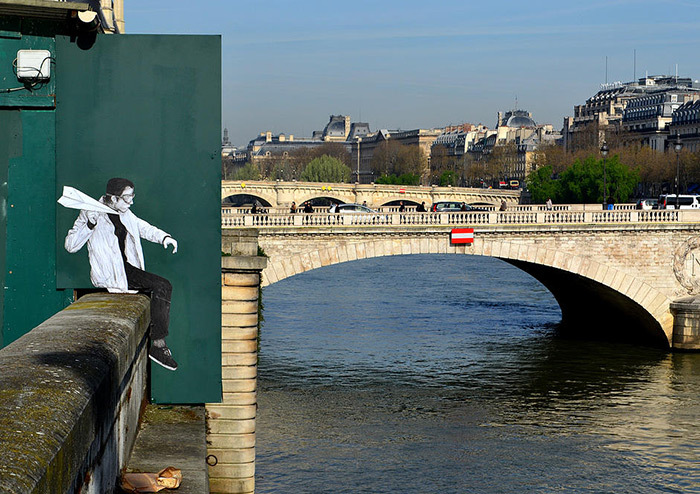 Pasteups by French artist Charles Leval (aka Levalet) that injects humor into mundane structures on the streets of Paris.